Hi! 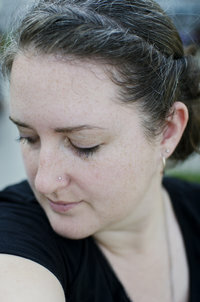 I am Katherine and I am so glad you found my website! I live in Omaha, Nebraska with my husband and kids. I am married to my high school sweetheart (we just celebrated our ten year anniversary!) and we have four wonderful children that I am blessed to be able to stay home with during the day. You can often find us doing a craft project, running to a kid activity, playing outside, or having a dance party! I grew up in a family of artists and was constantly surrounded by creativity. My love of photography began at a young age...I don't remember a time when I didn't have some form of camera! In high school I discovered my dad’s 35mm film camera and shortly after I was gifted with a pentax of my own. With the help of my dad, books, and many, MANY rolls of film I taught myself manual photography and found my passion for the art form. In 2008, I graduated from James Madison University with a Bachelor of Fine Arts. 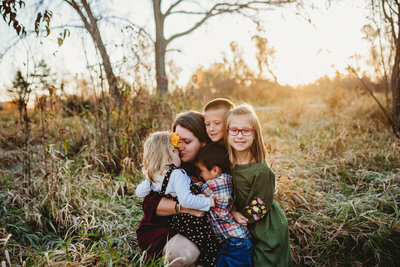 After years of growing my passion for photography, I began my business when our family moved to Nebraska in 2016. I bring a lifestyle approach to my work based on the images I would want to hang on the walls of my own home. I want to see my kids as they are, not in a stiff pose that they are going to fight. Your time with me should be fun and carefree. 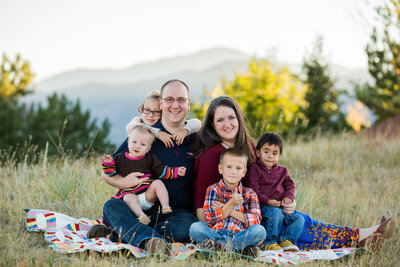 A lifestyle approach allows me to do just that for you while capturing the joy, interactions, and true personalities of your family in this season of life. As a mother, I understand the importance of capturing the milestones, the little moments, and the memories...the time goes by so fast! I love capturing the emotions, feelings, and details in the still frames that will be cherished for years to come. I am honored to create these images and would be humbled to be chosen to photograph your family. Let's meet for coffee and plan your session!